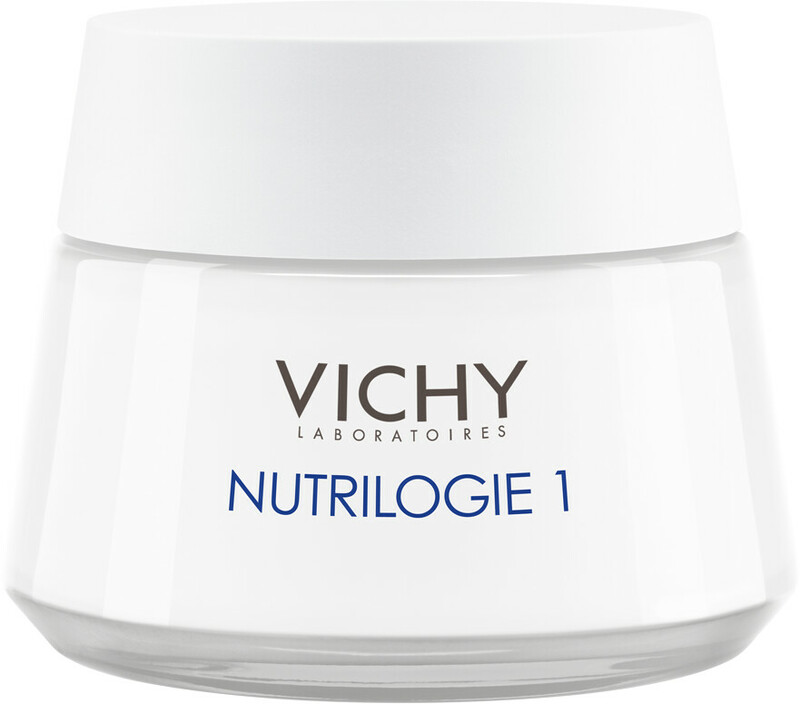 Care for your sensitive and dehydrated complexion with the Vichy Nutrilogie 1 Intense Cream for Dry Skin, a nourishing, moisturising cream. Dermatologists have discovered that dry skin, characterised by tightness and roughness, is unable to correctly produce its own lipids. Sphingo-Lipid® and Oleosome technologies help to replenish the skin's natural supply of lipids for 24 hour comfort without oiliness. The cream compensates for the lack of lipids in dry skin, and stimulates lipid production to naturally replenish the skin's layers. The result is lasting comfort and flexibility in the skin. Nutrilogie 1's non-greasy, ultra-penetrative texture and lightweight feel is perfect for everyday use and progressively conditions dry skin towards a normal skin type.The skin’s natural barrier is strengthened, and essential water is retained in the epidermis. Aqua,Prunus Armeniaca Kernel Oil,Isocetyl Stearate,Glycerin,Hydrogenated Polyisobutene,Cyclopentasiloxane,Sucrose Tristearate,Polysorbate 61,Stearyl Alcohol,Stearic Acid,Macadamia Ternifolia Seed Oil,Carbomer,Glycine Soja Oil,Triethanolamine,Methylparaben,Coriandrum Sativum Oil,Arginine PCA,Cholesterol,2-Oleamido-1,3-Octadecanediol,Palmitic Acid,Simmondsia Chinensis Oil,Phenoxyethanol,Tocopherol,Disodium EDTA,Caprylyl Glycol,Hydroxypalmitoyl Sphinganine,Passiflora Edulis Oil,Ethylparaben,Parfum. 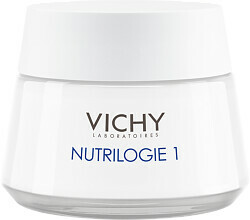 Vichy Nutrilogie 1 Intense Cream for Dry Skin 50ml is rated 4.8 out of 5 by 9. Rated 5 out of 5 by Binky from Excellent product Just does what it says... l have tried different creams from Vichy and never had a bad experience either! Rated 5 out of 5 by Anon2017 from Good as an aftershave cream I find this more helpful as an aftershave cream than standard ones I have used. It is fragrance free and helps soothes the irritation on my skin. Rated 4 out of 5 by mrsbunny from quite nice Lovely cream, fragrance free which is a bonus for sensitive skin I suppose. I only wish Vichy changed the packaging: tube or a pump bottle would be better.